Here are just a few of our basic Angel Protection services. Please feel free to contact us about any additional services. We will walk your dog in a group of 3 or less dogs, at a set time. We will also feed, replenish water, and administer medications as necessary. We provide pick up and drop off services. We will walk your dog individually to give them the attention they deserve. We will also feed, replenish water, and administer medications as necessary. We provide pick up and drop off services. If your puppy has not had their vacations shots and can not be taken out for walks, Doggie’s Angels will come to your home and provide the following services: exercise your puppy, feed your puppy a nutritious meal, change their water, and help your puppy become potty trained. All dogs no matter what age need exercise (daily walks) for there wellbeing. Walks will be customized to your dog’s pace. * All Angel’s has had experience working with, as well as walking dogs who have arthritis and/or other special needs. 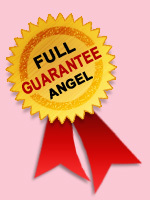 You will have piece of mind knowing that when you are away Doggie’s Angels will protect your loved one. We will provide them with all of the care, love, and attention that we give our own pets. Your Angel will have plenty of playtime, belly rubs and several walks around the neighborhood. We will replenish their water, prepare a meal for your dog, and administer medication if necessary. Cuddling included! We will also water your plants, bring in your mail, and take out the trash. You tell us what you need and we will accommodate your needs so that you can have more time for yourself, as well as more time to spend with you loved ones. Why deal with this stinking situation? Let the Angels do it for you. Special poop inspection also included. All suspicious poop will be taken in further investigation. We safely transport your pet while you are at work, on vacation, or too busy to do it yourself. We go to the veterinarian, groomer, dog park, or wherever they might need to go. This package includes a short walk, a treat and lots of love for our fuzzy passenger. A field trip to the dog park….a great safe place for your dog to run, play and socialize with other dogs. Includes pick up, drop off, fresh water, and treat. If a walk is not enough for your active dog advance your dog to the next level. The Angel’s will take them on a covert operation A.K.A. run or a hike, whichever you prefer. After your dog’s mission is complete they will come home satisfied and tired from a job well done. 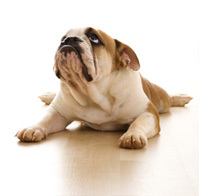 *We can develop a personalized fitness plan customized to your dog’s needs. We would provide your dog with a dog tag that has our 24/7 emergency hot line number on it. As soon as we get the call from the person who found your dog, we will pick them up; in a matter of no time we will have your pup safety back to you. If you are at work or on vacation we will take care of your dog until you are available. We will immediately put up signs throughout the surrounding area. Register your dog in all local lost dog databases. *Upon enrollment we perform an assessment which includes gathering all important information (i.e.) your dog’s veterinarian, medical needs, and emergency contact numbers. All information would be safely kept on file. Tell your friend about us and if they book us we will give you a free one hour walk. Tell three friends about us and if they book us we will give a free night of pet sitting. Neighborhood Group Incentive- if you put a group of 4 or more dogs together we will walk you dog for free for the entire time.